Casio has revealed its latest Android Wear smartwatch at CES, the Casio WSD-F20 and the device will come with Android Wear 2.0. The Casio WSD-F20 comes with a MIL-STD-801G rating for protection and it is waterproof up to 50 meters. 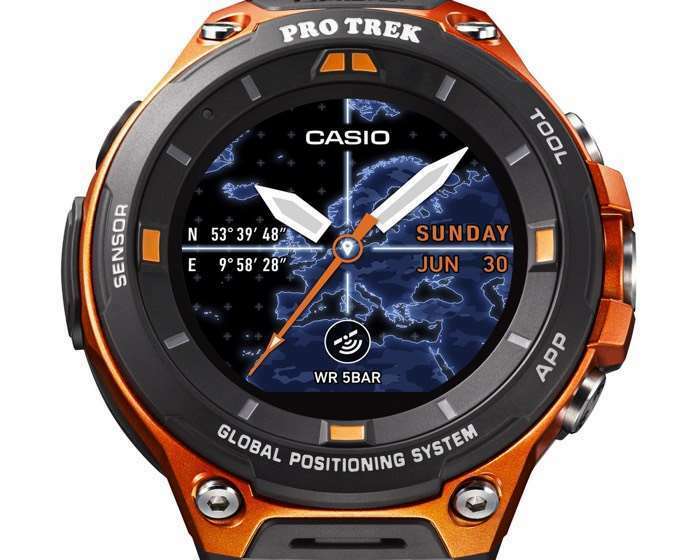 The new Casio WSD-F20 also comes with a low power GPS sensor and support for color maps both online and offline, plus it comes with a range of activity trackers built in. The Casio WSD-F20 will go on sale some time in April, as yet there are no details on pricing, although it is expected to retail for around $500.